Is there a best camera for food photography? We’re going to come right out and say it: no. The reality is that food photography can be done with pretty much any half-decent camera. Perhaps you already own just such a camera? Or are thinking of buying one? Read on to find out exactly what you need to get the job done. The fact that there is no such thing as an absolute best camera for food photography doesn’t stop a hell of a lot of people from asking the question “which is the best camera for food photography?” Perhaps these people imagine that there’s some especially designed camera that miraculously takes great shots of food without the photographer needing to do any work? Ingredients don’t chop themselves up and spontaneously group together in just the right quantities to make a mouthwatering dish all of their own accord. That’s the chef’s job. For sure, substandard ingredients, blunt knives, and pots that stick will be an annoyance to even the most accomplished culinary whiz. But have no doubt, a great cook will rustle up something tasty using even the simplest raw ingredients, and in the most basic of kitchens. Same with food photography: bad tools won’t make the job any easier, but a talented photographer will produce a stunning shot without worrying too much about whether they’re using “the best camera for food photography” or not. Cameras are cameras. And on the whole the best camera for food photography is likely to just be the best camera for any style of photography: i.e. one that is well-built, convenient to use, and produces high quality images. There’s not a whole lot more to it than this to be honest. If there’s No Single Best Camera for Food Photography, which are Some Of the Best Cameras for Food Photography? Despite these reservations, in a working environment where flying liquids, sticky substances and flaming blowtorches are pretty much the norm, clearly some cameras are going to be more up to the task than others. What follows is our short guide to a few of the best cameras for food photography (and indeed many other styles of photography too) currently available. Naturally many food photographers will want to shoot video in addition to photographs, however the cameras we look at here have been selected primarily for the quality of still images that they produce. In many cases, though, these are not among the best options currently available for shooting video. Cameras for food videography will likely be the subject of a separate article in the future. Unless otherwise indicated, all prices are for the camera body only. For a list of some of the best lenses for food photography check out our separate food photography lens guide. If you’ve slowly noticed the balance of your Instagram feed shifting from sunsets and selfies to salads and steaks over the least few months, it’s probably a sign you’ve caught the food photography bug. Perhaps frustrated by the minimal functionality of the camera on your phone, you’ve now joined the ranks of people wondering which is the best camera for food photography in order to make a more serious commitment to the art? A top-end point-and-shoot with a decent sensor and an optical (rather than digital) zoom will allow you to produce pretty good food shots, so if you already have access to something like this then maybe hold off on the investment for now. But If you’ve already started to outgrow the limitations of the camera on your smartphone and don’t have any other options available to you, we suggest you bypass intermediate camera categories such as point-and-shoots or so-called “bridge” cameras and go directly for an entry-level DSLR. A basic DSLR needn’t cost more than either a bridge or point-and-shoot (and perhaps much less than your phone), but it will get you a lot of the flexibility and usability of a pro DSLR, such as interchangeable lenses and use of external flash. These are features that are almost essential if you are to move into food photography on a more serious level than just randomly snapping photos of your lunch. Also, as different bits of DSLR kit tend to be interchangeable (at least within the same brand’s range, but often also between third-party products), you can upgrade to a better body, or different lenses, as and when you might need to. And without having to ditch everything else. For those just starting out and tied to a restricted budget, Nikon’s D3400 is without a doubt our number one recommendation: hence why we dedicate more space to this camera than any other. Basically, this is an entry-level camera with almost pro-level spec. It has a huge 24MP sensor that comes with the anti-aliasing filter removed, thus helping to produce much sharper images: exactly what’s required for fine detailed food photography work. Of course, the D3400 is not a pro camera, and its sensor-size is far from full-frame. But unless you’re thinking of blowing up your food shots for printing on the side of a bus, this is unlikely to be a major issue anyway. Certainly for online use, most people will need nothing more. Once again, we really like the D3400 lot, but let’s get all the bad news out of the way at once. Perhaps the most significant of which is that it’s not the most customizable camera. Or rather, the controls to tweak are all there, but reaching them takes some serious digging down into complex submenus. Whereas pro-level cameras tend to have shortcut buttons and dials for pretty much everything. Generally, pro-cameras also come in very solid casing, made as they are to withstand the punishment of war-zones. The D3400 is admittedly very lightweight, so you can take it anywhere without running up an osteopathy bill, however the plasticy body doesn’t inspire quite the same degree of confidence as a bullet-stopping Nikon F (although the same could likely be said for pretty much any camera made in the last 30+ years). You don’t get a lot of the features which come even with slightly more expensive beginner’s DSLRs either. However, while details such as a fold-out touch screen no doubt render life a little easier, in actual fact they make zero difference to the quality of your photographs, so this is not a compromise on quality, but merely on convenience. Admittedly there are some limitations to performance too, but unless you plan on shooting a lot of liquids, or clichéd “flying-food” shots, food photography generally doesn’t require a camera with a ridiculously fast burst shooting rate or untold AF points. In short, if you want to get into shooting food photography seriously but don’t have the budget to make too much of an investment at this point, this is without a doubt the best camera for food photography out there. Simple, stripped back, and easy to use, but nonetheless capable of producing high quality, optically sharp images. That’s all you really need. The rest is up to you. Although the D3400 can be bought separately, doing so usually costs almost the same as buying it in kit form complete with a basic zoom lens, so it makes little sense to purchase only the body. While the entry-level lenses that come in these kits are not especially sharp, they are fine for starting out and can be replaced later once you have the funds. 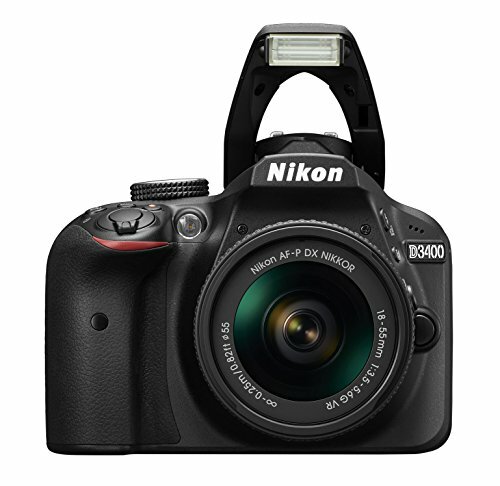 A perennial favorite within this price bracket, the Rebel T5i is a serious starter camera that offers many of the little luxuries that are missing from the bare-basics Nikon D3400 above. If life without an articulating LCD is a hardship you can’t contemplate, this is probably your best entry-level option. There’s not really a great deal to add beyond this though: the D3400 lets you do everything you need to do; the T5i permits you do a bunch of stuff you might also want to do. It doesn’t offer any advantages with regards to image quality though. 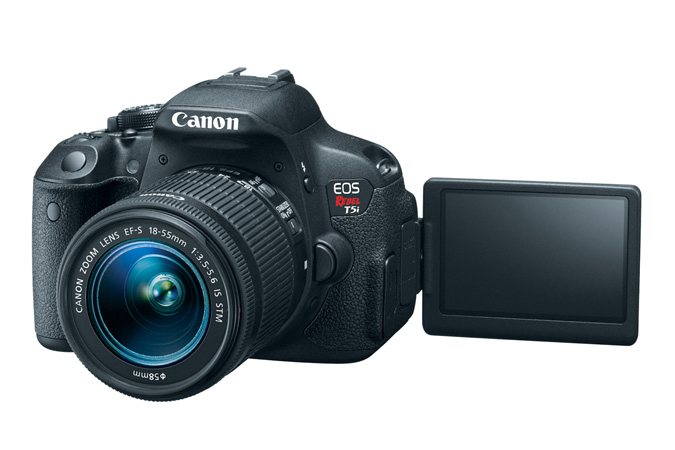 Stepping up from the real beginner-level cameras, there’s a pretty dramatic hike in price. In some respects, the increase in cost is justified by improved build-quality and usability. However, unless you make the leap to a camera with a full-frame sensor, anyone hoping that the extra economic outlay will be rewarded with a corresponding jump in image quality will be largely disappointed. Indeed, beyond a more sturdy weatherproof casing and the odd non-essential (but no doubt handy) feature, there’s not any massively compelling reason to cough up the extra cash when compared with entry-level camera such as the Nikon D3400 (again, going full-frame is the exception here). Having said that, a camera that’s up to enduring the outdoor elements is also one that is more likely to withstand being lashed by splattered syrup or dusted by a cloud of icing sugar, perhaps making these mid-range models slightly more competitive contenders for the title of best camera for food photography. Aside from this, though, luxury and convenience aren’t necessarily to be sniffed at anyway, and not everyone will be on such a tight budget. So why the hell not? What does a camera that costs a good $700 more than the cheapest option here offer in the way of advantages over budget-level DSLRs? Well, for a start the D7500 boasts superior ergonomic design to its cheaper cousins – which may or may not make much of a difference to you (it’s certainly not worth paying out extra money for a more comfortable handgrip if you will anyway just be using the camera on a tripod most of the time). 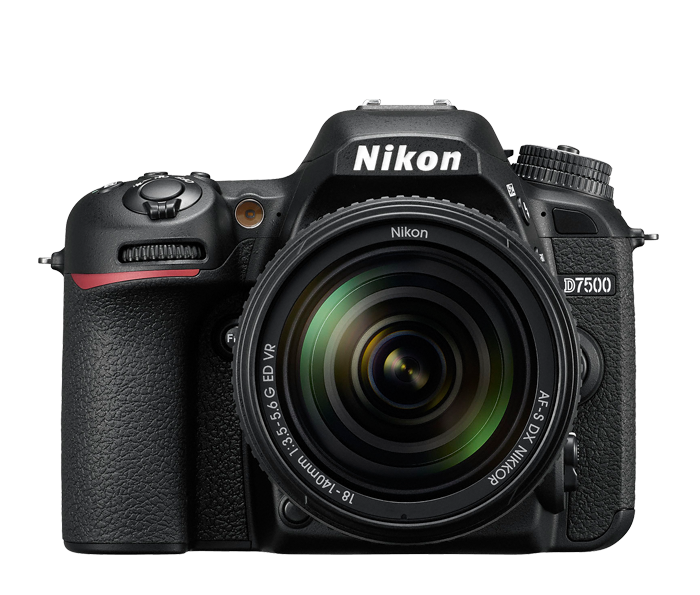 D7500 users also get a super fast burst shooting rate of 8 fps. Impressive, but unless you’re in the habit of shooting your food while its still running around in the wild, this is unlikely to be a deal-breaker for most food photographers. Likewise, 3D tracking and subject recognition are not going to be high on many food photographers’ must-have lists either . In-camera batch RAW processing, on the other hand, is a feature that pretty much any photographer could potentially find useful. And superior weather resistant casing is definitely a point in the D7500’s favor. Wi-Fi, bluetooth and a swiveling touch screen make viewing and sharing files much less of a chore too. Again though, none of these extra spec will make the slightest difference to the quality of your photos. Perhaps to your quality of life, but not your photos. Still, extra functions such as these certainly won’t negatively impact image quality in any way either, so if you think you’d find them useful then there’s no serious reason not to go for the D7500. Sure, this isn’t the lightest of cameras, but weight is never going to be the same concern for a food photographer as it is for, say, a travel or news photographer. Finally, despite the D7500’s 4k capabilities, the D7500 isn’t the most obvious choice for shooting motion, as video quality is decidedly subpar. Although by no means cheap, like its predecessor the 6D before it, Canon’s 6D Mark II is currently one of the most economically painless ways into full-frame shooting. While it’s 26MP sensor might not seem like an enormous jump from our budget-end favorite, the Nikon D3400, the fact that this is a full-frame sensor of course makes all the difference to real-word image quality. I.e. even if pixel-count were higher on the cropped-sensor D3400, the full-frame model would still beat it on image quality. What’s more, as one would hope at this price bracket, build quality is far superior to any entry-level offering. Indeed the 6D Mark II’s water and dust resistant body is more likely to emerge unscathed from the daily onslaught of culinary chaos and food-related mishaps that make up the food photographer’s lot than most of the other models we look at here. The only major gripe with the 6D Mark II is lack of 4k video capability, so if in addition to stills you’re also interested in shooting a lot of motion you may want to look elsewhere. While some photographers might also complain that the 6D has only one SD card slot, as a serious food photographer you’re likely to be shooting tethered to a computer most of the time anyway, so this isn’t really a noteworthy drawback from our point of view. 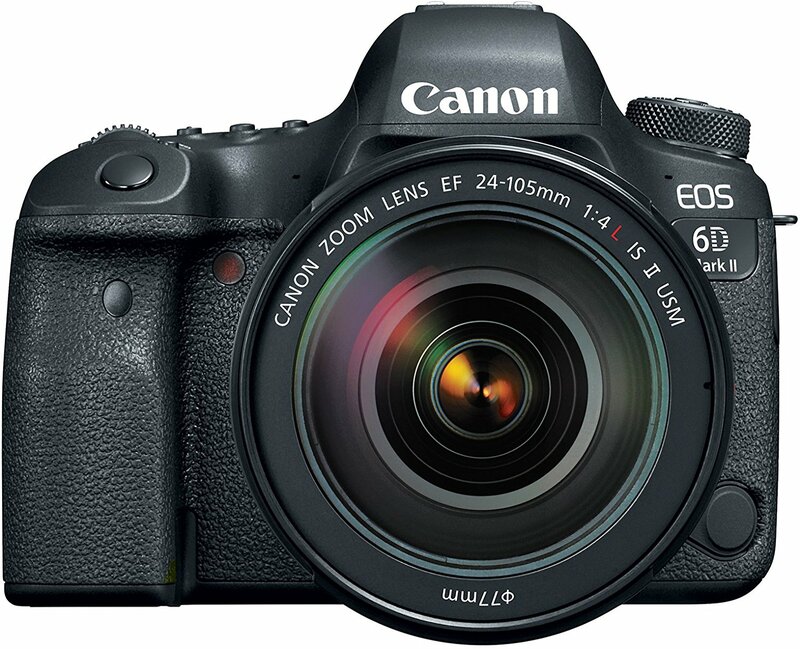 Otherwise, the 6D Mark II is a vary serious tool that will not hold you back in any way. Definitely a contender for best camera for food photography at this price range. Those on a budget but desperate to make it to a full-frame model could do a lot worse than hunting down an original 6D body, as these are also full-frame, yet now retail for much less than when first released (and can be found at a good $700 less than the Mark II currently goes for). You’ll get 6 megapixels less than with the 6D Mark II, and the 6D’s autofocus is way inferior, but a full-frame 20MP sensor is already pretty damn good, and autofocus is really a minor consideration as far as food photography is concerned. If you’re a pro or semi-pro level shooter, you need sturdy, reliable, high-quality tools that you can rely upon to deliver every time without fail. But for this you’ll need to be prepared to pay. A lot. Hot off the production lines and boasting an enviable 46MP full-frame sensor, the D850 is currently Nikon’s top of the range DSLR. As with our cheapest recommendation here, it also comes with the anti-aliasing filter removed, resulting in even sharper images. In many respects, this alone is all you need to know, as it basically translates into incredible quality photos that leave all the other DSLRs we’ve looked at here psychologically scarred and publicly pleasuring themselves on busy street corners. 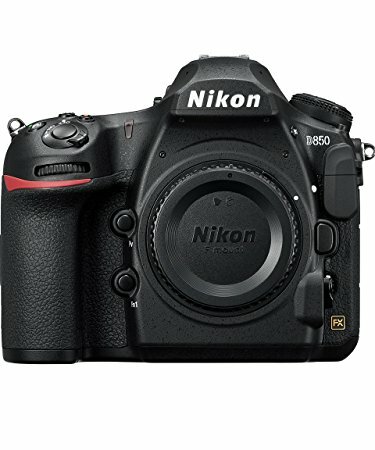 Of course, at this price, there’s much more going on with the D850 than just jizztastic image resolution. However, as many of these other advantages largely concern speed – rarely a food photographer’s #1 priority – it doesn’t seem worth going into them here. Quite why any photographer would need 153 focus points is beyond our comprehension, but needless to say that it’s unlikely to prove much of a selling point with the average food photographer. Buy this camera for image quality alone, all else is largely irrelevant to a food photographer’s needs. Of course, if you’re already wedded to a Canon system, then upgrading to Nikon’s D850 would mean ditching all your lenses and other paraphernalia. Not economically appealing. 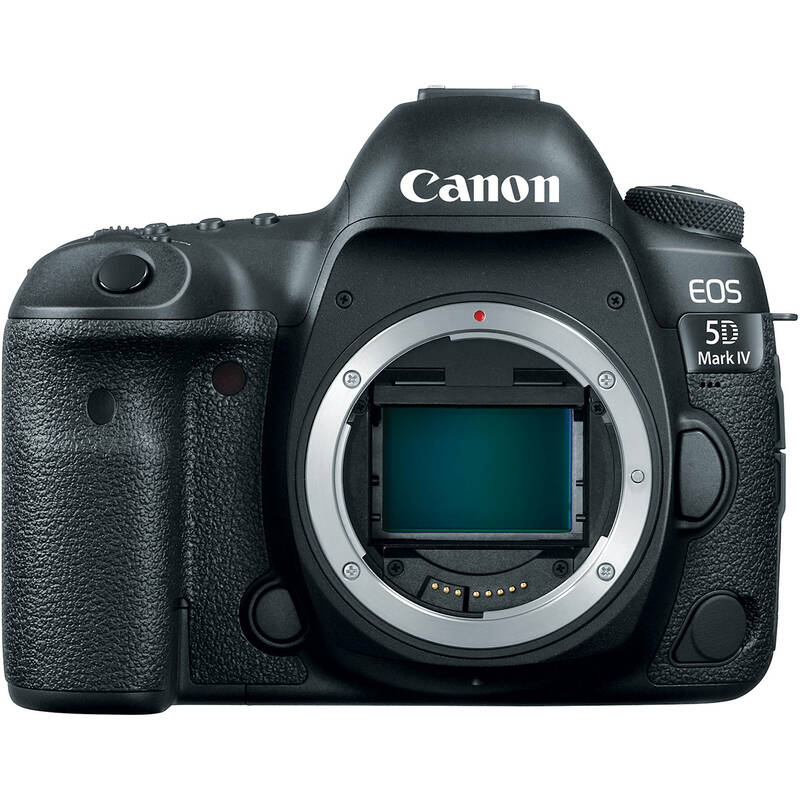 Fortunately Canon too have their flagship machine, in the form of the brick-like 5D Mark IV. Sure, the Mark IV’s pixel-count is comparably much lower than the Nikon D850’s. Arguably, though, by the time you get to this end of the scale, even a difference of 16MP is actually quite forgivable. If a file from any medium-format camera already has most DSLRs reaching for their towels in shame, all but the very most well-endowed start googling for back-room enlargement therapies at the sight of a Hasselblad. While not a household name like Canon and Nikon, Hasselblad’s have always ranked among the most prestigious professional cameras. Owing to some questionable optics, their analogue models may have been more popular among portrait photographers than with those shooting still-life or landscape work – where precision is more of a requisite. However the brand’s digital offerings have long been the cameras of choice for hard-working fashion, still-life, commercial and studio photographers for whom budget is no obstacle. Sure, with top-end DSLRs like the D850 and 5D Mark IV pushing the pixel-count ever higher, it might seem reasonable to question the advantage of a camera like the Hasselblad H6D today, especially given the price of a body and back alone is more than most people spend on a car. But such a question misses one of the most significant contributors to image quality: sensor size. Yes, a 46MP full-frame DSLR like the D850 will beat off the weedy cropped-sensor competition with one hand tied behind its back. But that’s full-frame within the 35mm format. 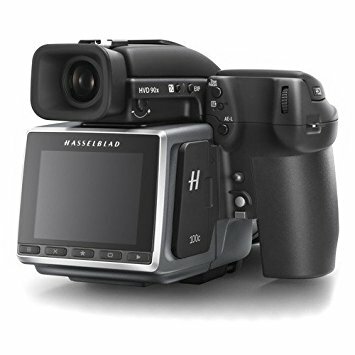 The Hasselblad H6D is in another league entirely. So even if you’re a “cheapskate” and opt for the 60MP version, that’s 60MP on a sensor way bigger than “full” frame. Imagine what a 100MP image looks like then! Clearly these are not cameras designed for shooting snaps to share on Instagram. To be sure,unless you’re work is likely to need printing – indeed, printing on a very large scale – the H6D will be total overkill. Cameras of this caliber are used by certain professionals with very good reason, but unless you have those same specific reasons yourself too (e.g. billboard advertising), there’s no way you’ll be able to justify spending this kind of money. What’s all the fuss about beyond image quality though? Well, primarily intuitive design and robustness. And what was it we said back at the start of this article? The best camera for food photography is one “that is well-built, convenient to use, and produces high quality images”. And with Hasselblad you certainly get all that. Indeed, to a degree that will be totally superfluous even for many (but certainly not all) professional food photographers. While the food photography shooting-environment brings a few particular hazards that other photographers rarely have to deal with, the basic criteria to consider when selecting the best camera for food photography are largely the same as in other photographic genres: image quality, ease of use, and build. As we said earlier, there are many cameras that will do the job, and this list is very far from definitive, so don’t hesitate to check out other options too, depending upon your particular needs and budget. Nonetheless, if you’re looking to get an idea of what might make make the best camera for food photography – i.e. 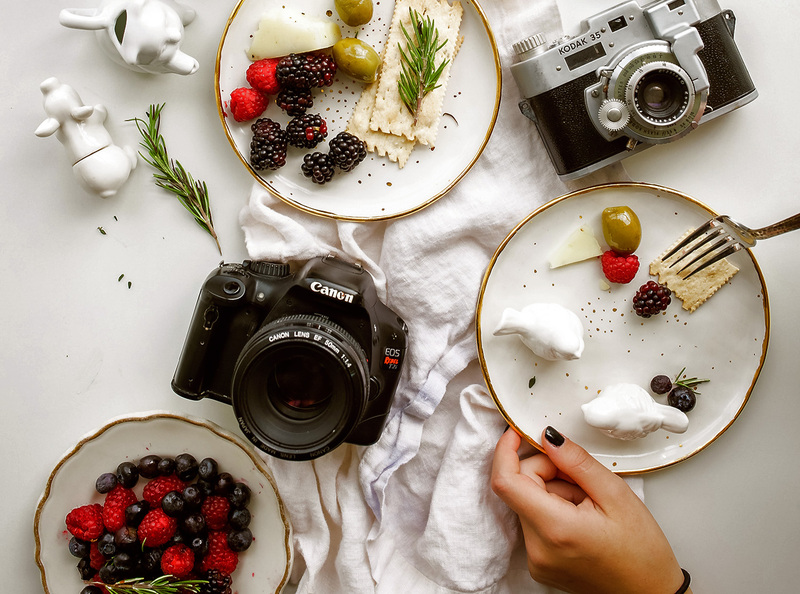 the best camera for your food photography – we hope you’ve found this article a good starting point for your research. Which do you consider to be the best camera for food photography? Do you disagree with any of our choices? Why? Let us know in the comments.